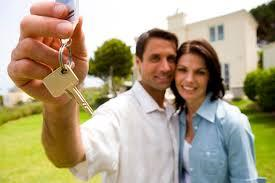 On average couples look at 14 homes before making an offer. With an average of an hour to look at each home, that is a minimum of 14 hours invested. If you cannot answer these 5 questions, the number of houses and hours spent can double and even quadruple. Narrow the location down as much as possible, but be realistic and open to other options. Example: I want a 3/2/1 in Historic Kenwood, fully renovated for under 200,000. With the average house in Kenwood selling for $270,000 this is not a realistic neighborhood. However, 10 minutes south in Pasadena Estates is MLS# U7783885 is a beautiful 3/2 fully renovated for $165,000. Where will the escrow money come from? Is it already in my bank account? And do I have my pre-approval letter from the bank? Having the answer to these questions will make the house buying process much more enjoyable.